Callum is an actor, writer and director who trained at Circomedia in Circus and Physical Theatre and believes in the power of positive theatre. 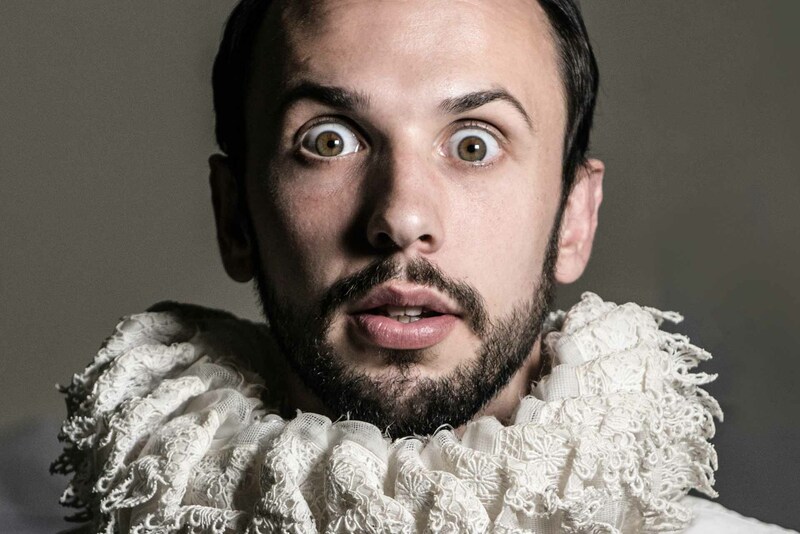 A founding member and performer of The HandleBards, in 2017 he co-founded ‘Stubble Arts,’ and previously has produced his own work across the UK since 2012. Previous credits include: THEATRE UNCUT (Young Vic, London), CARNESKYS TAROT DROME (Old Vic Tunnels, London), PRINCESS TAZ AND THE FEARSOME FOREST (Etcetera Theatre, London), SEEING DOUBLE (Edinburgh Fringe) and MAKE BELIEVE FESTIVAL (Gorilla Zoo). And his favourite Shakespeare quote? The combination of respect and comical irreverence that’s applied to Shakespeare’s texts, making them a joy to perform in and completely understandable to watch (if a little ridiculous). Getting lost on my bike in Brussels with no phone, no map, no other Bards, and no ability whatsoever of being able to communicate with anyone around me.